McGowan Homes has been presented with multiple awards for our luxury homes, demonstrating our attention to detail, exceptional quality and high standards. 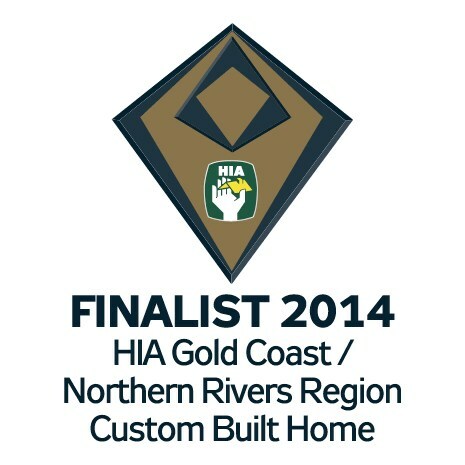 McHomes entered the HIA-Gold Coast Northern Rivers Awards for the custom built home we built at Willow Vale. McGowan Homes attended the awards evening at the Intercontinental Sanctuary Cove and were very excited to be awarded the Winner of 2018 HIA Gold Coast & Northern Rivers – Bathroom Projects – up to $20,000. 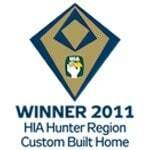 McHomes entered the HIA-Gold Coast Northern Rivers Awards for the custom built the home we built at Willow Vale. McGowan Homes attended the awards evening at the Intercontinental Sanctuary Cove and was very excited to be awarded the Finalist of 2018 HIA Gold Coast & Northern Rivers – Kitchen Project – $30,000 – $50,000. 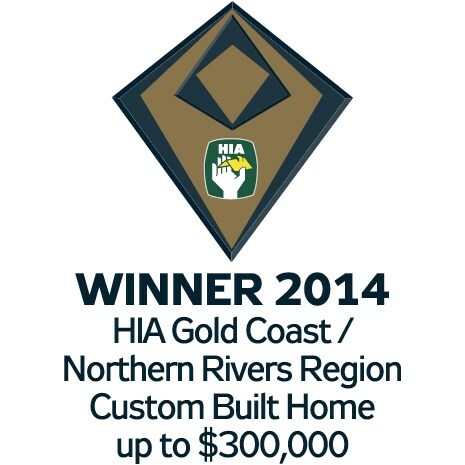 McHomes entered the HIA-Gold Coast Northern Rivers Awards for the custom built the home we built at Willow Vale. McGowan Homes attended the awards evening at the Intercontinental Sanctuary Cove and was very excited to be awarded the Finalist of 2018 HIA Gold Coast & Northern Rivers – Custom Build Home – $1Million – $2Million. Gold Coast / Northern Rivers Housing Awards – Custom Built Homes Category. Housing Industry Association hosted the 2014 HIA Gold Coast / Northern Rivers Housing Awards Evening at the Glades Golf Club on the Gold Coast. The evening was a huge success with McGowan Homes winning the 2014 HIA Gold Coast / Northern Rivers Housing Award for Custom Built Homes up to $300,000. 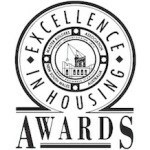 The HIA Housing Awards recognise and reward excellence within the housing industry whilst also promoting the finest tradespeople and their businesses throughout Queensland and Australia. 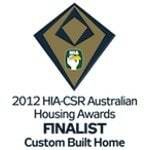 Housing Industry Association hosted the 2012 HIA CSR Queensland Region Housing Awards. McGowan Building Services was proud to be announced as a Finalist for the 2012 HIA-CSR Queensland Region Housing Awards in the Category of Host Trainer. Housing Industry Association hosted the 2012 HIA CSR Gold Coast / Northern Rivers Housing Awards Evening in Brisbane. 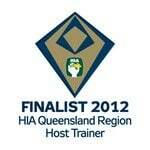 The evening was a huge success with McGowan BuildingServices Pty Ltd winning the 2012 HIA CSR Gold Coast / Northern Rivers Host Trainer Award. HIA was proud to announce McGowan Building Services P/L as a Custom Built Home FINALIST, for the Lake Macquarie NSW home, at the 2012 HIA-CSR Australian Housing Awards Evening in Cairns. HIA’s Hunter Executive Director, Steve Jeffries, said ‘McGowan Building Services’ have delivered a very special home on behalf of their clients and the design brief has been carried through to construction and finishing stages with absolute precision. For McGowan Building Services to be named Hunter Home of the Year is a huge honour. For them it means their work exemplifies the best of modern housing and allows them to represent the Hunter Region in the HIA Australian Housing Awards next year’. Housing Industry Association – Hunter Region was proud to announce McGowan Building Services P/L as the WINNER of the their second award of the evening, for the Lake Macquarie NSW home, at the HIA-CSR Hunter Housing Awards Evening. 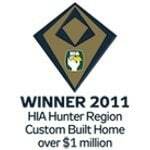 Housing Industry Association – Hunter Region was proud to announce McGowan Building Services P/L as the WINNER of the Custom Built Home Over $1 Million Category, for the Lake Macquarie NSW home, at there 2011 HIA-CSR Hunter Housing Awards. Master Builders Association NSW was proud to announce McGowan Building Services P/L as the 2011 Winner in the MBA Excellence in Housing Awards. Category: Contract Houses $1.5 to $2 Million. Judges Comments: One of the most detailed entries the judges saw this year. The use of recycled timber and stainless-steel framework blended perfectly to produce a great finish. A real credit to the builder and a most happy client. Excellent. Whether you’re looking for a custom home, knock down and rebuild, or simply wanting to complete renovations or add an extension, the experienced team of home builders at McGowan Homes are here to help. With over 20 years of experience building luxury homes for clients across the Northern Gold Coast, Sydney, Central Coast, Lake Macquarie and South East Queensland, you can rely on our team to deliver an exceptional end product. We only use the highest quality materials and building techniques to ensure a high-quality end result. By taking the time to understand our clients’ unique vision, we are able to create luxury homes that enhance their lifestyle. If you’re interested in developing your own luxury home in the Northern Gold Coast and surrounds, speak to our award-winning builders today. We’d be more than happy to arrange a meeting and provide you with a quote for custom homes, renovations, extensions or a completely new build. You can reach us by calling us directly on 1300 880 527 or by sending an email to info@mcgowanhomes.com.au. Alternatively, fill in our online enquiry form and we’ll get back to you as soon as possible.